I feel I just need to get this all out and once it's written I can be accepting and positive. Because lately I almost have a second of thinking 'Am I coping?!' -Yes ofcourse I am, but in those moments of stress it feels lonely. I find myself reaching out to loved ones who always offer to listen, actually accepting that offer for a change, for them to just shadow it with their own issues. It hurts. It really hurts. It almost makes the whole feeling 10 times worse. I guess that is why I tend to deal with issues on my own, I always have done. Always there for others but seemingly when you actually reach out for the same they're too caught up on their somewhat less stressful situation. Anyway... this is not meant to be a deep post but an honest one. The last few days have been hard. Olive has been so happy, giggly and cheerful yet so fussy, clingy and unsettled. The nights are the worst. Waking every couple of hours just for a cuddle is not favoured in my books. The little peach doesn't even need a feed- literally just a cuddle. I pick her up and she snuggles in and snoozes. But as I put her down she pings open those big blues and beams at me. It's cute at first but after the 6th time I can't help but feel agitated at her. Though it's not her fault it is still so exhausting. I function well on a certain amount of sleep- not necessarily alot but SOME. Lately I haven't even been getting that 'some'. Yesterday Olive had her first swimming class and she loved it! I knew she would. It was mid afternoon so I thought it would be to my advantage and it would tire her out. It did make her snooze almost instantly when she was nestled into me in the Ergo on the bus, in fact it worked so well that when we arrived home I managed to unclip and put her in her bed without even the slightest stir! Though it gave me 40 minutes peace to make toast and sip TWO cups of tea it didn't help with the nighttime snooze. However she did want to go to bed earlier than usual so I brought the bedtime routine forward and she went down so very easily. Stirring every hour or so from 8pm until I finally climbed into bed at 11pm when she would not go back to sleep. It was almost though she thought it was day time!! So after 20 minutes of play and cuddles I caved and just fed her thinking it would comatose her enough to fall straight back to sleep for me to get some of my own (sleep not milk!). No. After some tears (nearly from me too!) and lots of 'Hush Little Baby' and Mary Poppins' 'Stay Awake' whilst doing a few lunges and gentle rocks she managed to settle by 01'47am. Phew. But then woke about 40 minutes later wanting that Mama cuddle I mentioned before.. so after a few attempts of putting her back down in her cot I caved and popped her down next to me on the bed. Now I understand that every baby is different as is every Mother's way of parenting, but I have never been pro co-sleeping. I do think that it must be a wonderful experience for some mothers, as I am sure equally it is the only way some babies sleep and the only way a Mama can get some z's in! But having said that I always knew I didn't want to. 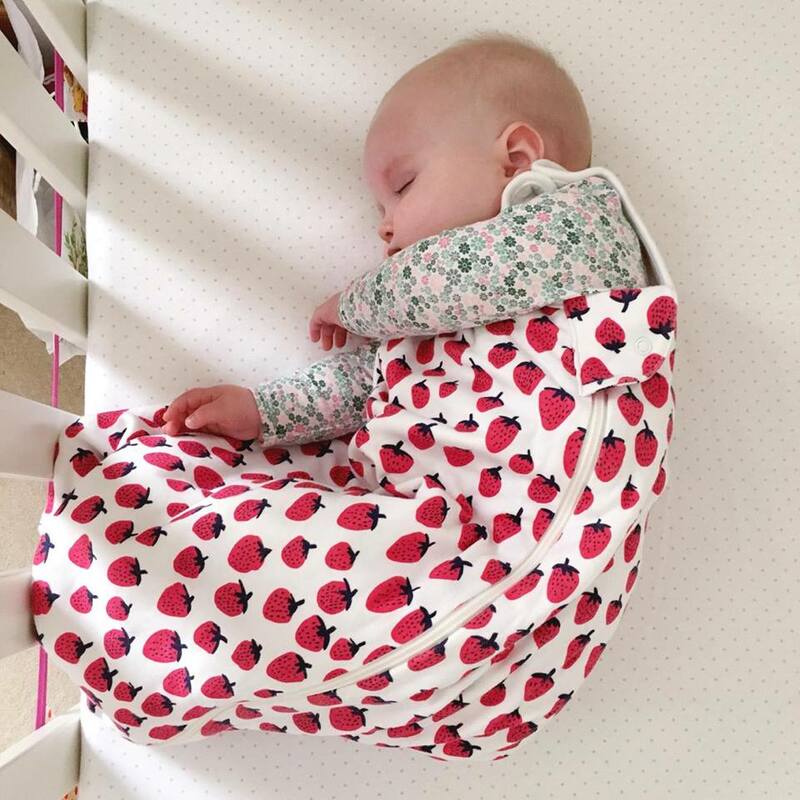 Olive has always slept well in her cot from day dot and I feared that any type of co-sleep or too many dozes on me would affect her patterns so I tried to stick by what worked for us as a family. However, last night I genuinely could not think of anything else that would settle her. Olive is coming up to 6 months and I think she has reached a stage of her growing/learning where she just wants her Mama. Even when she's grizzly in the evening and Sebastian is home to help she just wants me... which is strange because she gives her Daddy the most adorable cheeky little grins when he walks in the room. She could be happily playing one minute and I get up to walk out of the room to make a drink and she will kick off. She is happy most of the time but actually her Mama is not allowed to leave her sight. So last night it was all I could think of to get some rest. I tried putting my pyjama top in the cot with her but that failed. But the moment she laid next to me she slept peacefully all through until 0830am. (I guess Sebastian sleeping in the spare room on work nights worked in our favour for once! Or we would have both been hanging on the edge of the bed!!). I am sure it's just a phase that she is going through at the moment and I hope that it passes quickly. I have accepted that my job right now is to solely be her mother, and I am totally prepared to be at her beck and call. However, I do need to finish some basic tasks around the house, instead of taking a few attempts throughout the day! I also need a bit of an evening before climbing into bed myself. I feel like I have hardly seen Sebastian lately and I have rarely been in a room on my own. That being said, Olive has been napping for well over an hour and a half after her morning feed, giving me time to shower, have breakfast AND write this post... so I am probably doing her a great injustice! Poor thing. I am still having to remind myself that the poor little chunk is only still a very small human who just doesn't know yet... she has only been in the world for 6 months. That's actually not that long. Plus weaning, her teeth coming through as well as the other things she is learning to do- must be tough for her. 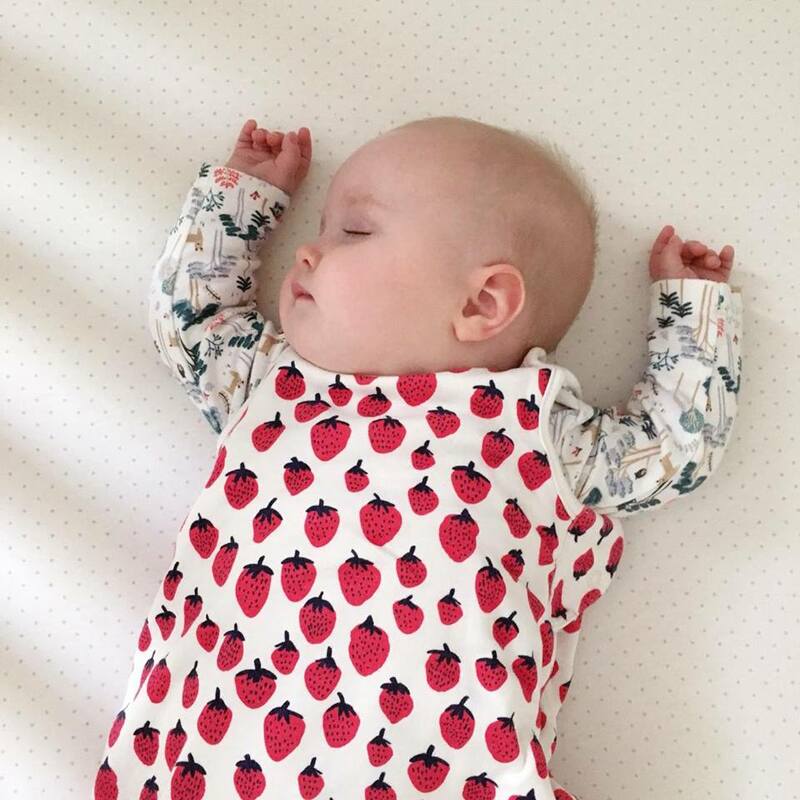 Anyway, if I am a little too whingey on Twitter or a little vacant from Instagram or far too sporadic on the blog- it's because I am sleep deprived, fighting the stress and most likely got a gorgeous little babe glued to my side everywhere I go! I guess it could be worse eh?! Have any other Mama's been through this with their 6 month babes? Is it a phase? If any Mama's have any ideas of settling an unsettled babe at night without her snuggled next to me then please do send your advice my way! I am in need of some constructive advice on this. Thank you lovely! You are so right- it goes far too quickly!! Thanks Emma! It's just nice to hear that I am not alone (even though I know I'm not the only mama in the world going through this! haha). I will try to ask for help. It's just a shame that little Olive only wants me at the moment. Still, I'm sure she will be better soon... until the next thing! Someone mentioned sleep anxiety to me a few days ago. I hate when they label all these stages but hey, I read up about it and seems pretty accurate. We play Peepo alot and I have started telling her when I'm leaving the room and that I shall only be 2 minutes or so. Perhaps I shall walk around the room and do little tasks like you suggest, so she knows I'm around but not having to sit right next to her all the time! My husband has said he will play with Olive alot this weekend so hopefully things will get a little easier. We started co-sleeping when the 4 month sleep regression hit. I just couldn't cope. I hated the idea and in a practical way, co-sleeping really hurts my body (knees, back, neck, shoulders.. everything). Then the boy would feed through the night and suddenly put on a lot more weight! 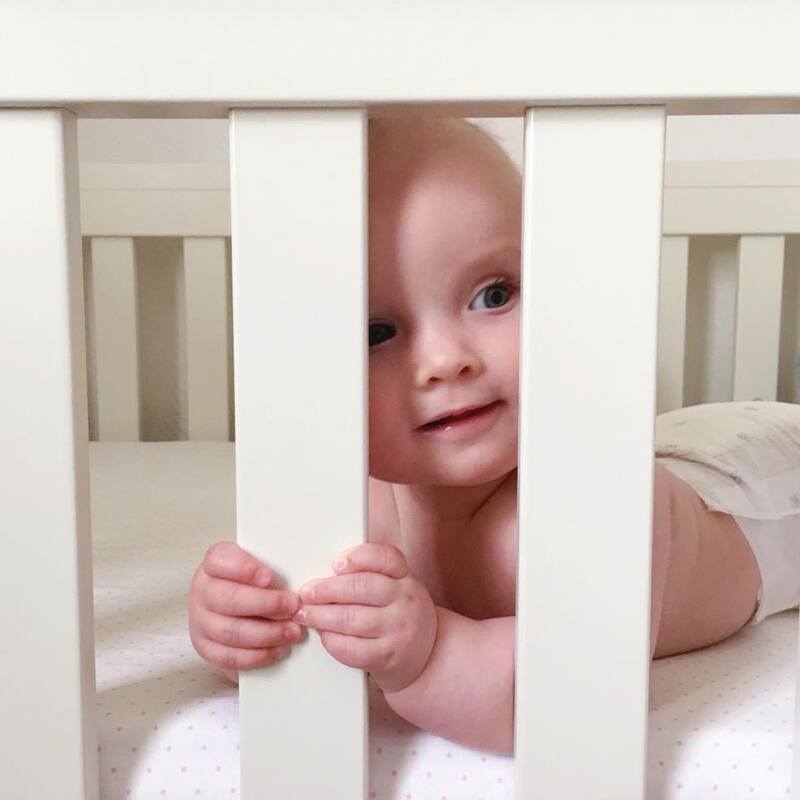 At six months when we moved the boy back into his own room I just stopped co-sleeping, made the decision one day, and he was fine. We had one feed per night for a few weeks then he started sleeping through. Now at nearly a year we only co-sleep in times of illness or teething, when he is being particularly unsettled. If it works for you it works, just make sure you do it safely. 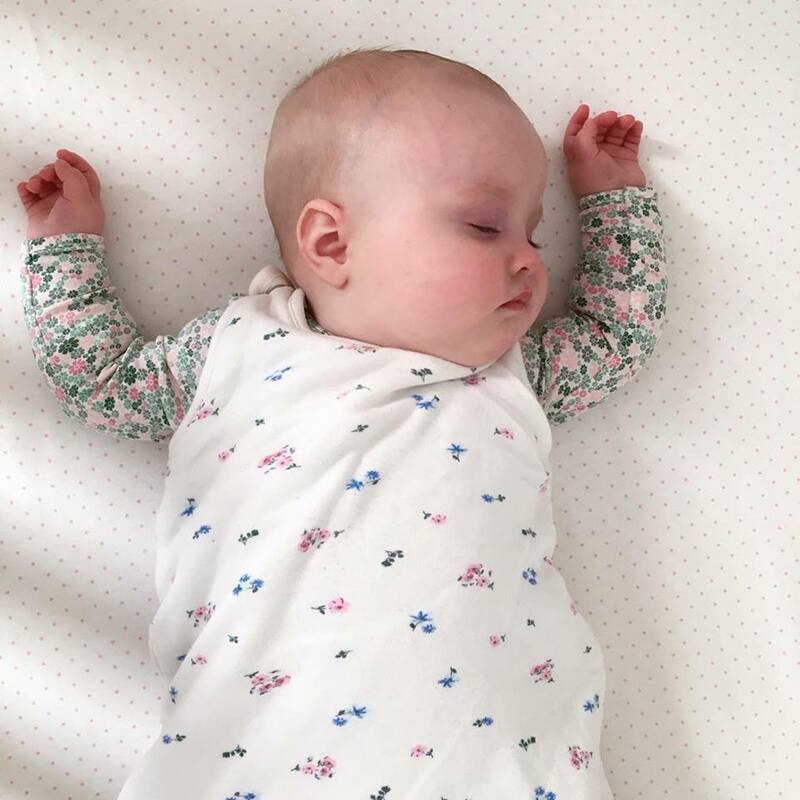 No duvets near the baby, so layers for you, no pillows near her head, if she's rolling around keep your arm on her or pad the floor where she might roll off. It will get easier. 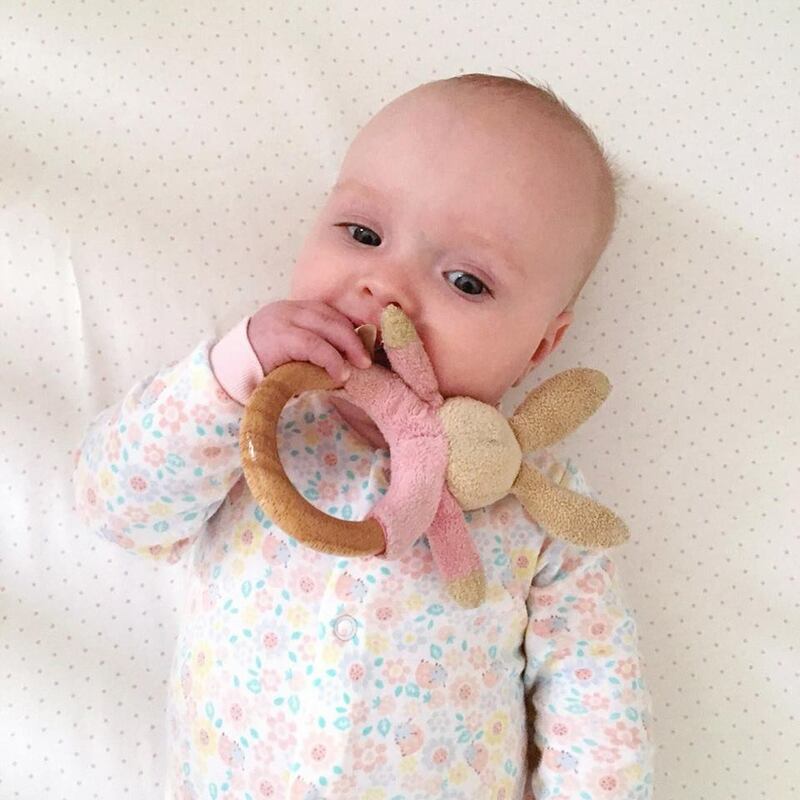 The "Sleep Regression" period was a little tough but with that I started feeding her thinking it was what she wanted but that didn't last an awful long time. Only waking twice or so. But the last week or two she has literally just been waking almost every two hours and the moment I pick her up she snuggles in and sleeps. When I put her down it's almost like she is saying "No Mama, you can't leave me!". She doesn't even need/want a feed until at least 5/6am sometimes 8am! I don't want to keep up with co-sleeping as I am still not getting much sleep- I woke up panicking last night thinking I was leaning on her or something and I don't want to move in a more comfortable position incase I wake her so it's a little stressful. I have ofcourse been very careful with pillows and blankets and such so no worries there. Gaah, you poor thing, that sounds like a horrific night! Have you checked whether she's still in one of her leaps? Mine usually don't make that much of a difference but the day Ada came out of her most recent one she was like a whole different baby! 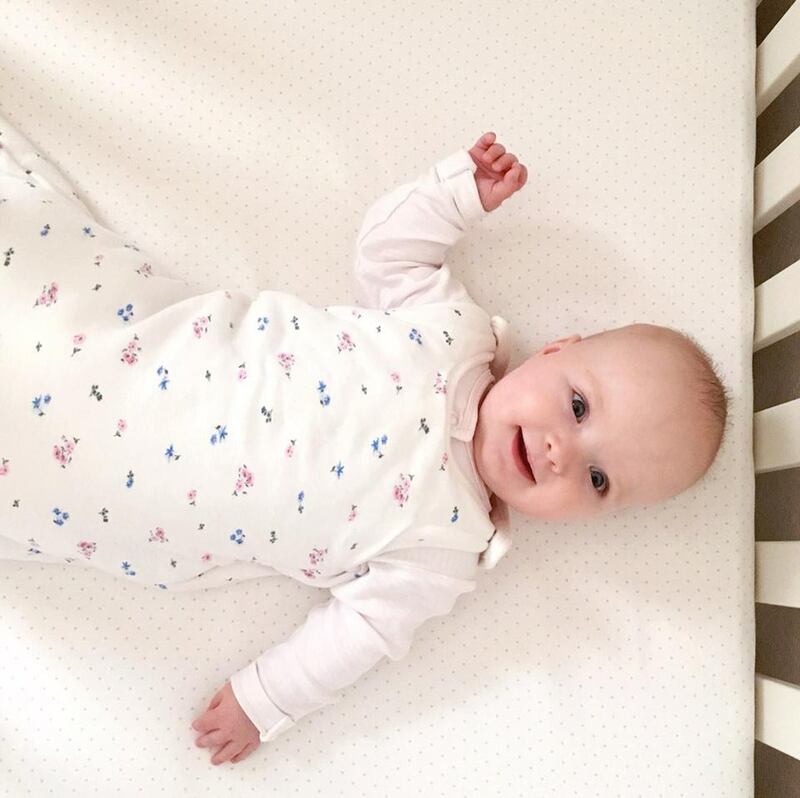 Quite happy to nap and sleep in her cot, and only waking for one feed a night since at about 4am = a seriously happy Mama here! I definitely notice she is a little clingy recently though so perhaps they're getting ready to go through separation anxiety, it's so frustrating to hear those little wails as soon as you turn your back, even when you're in the same room! Things will definitely get better :) Does Olive have a little comfort blanket or anything? Ada has two because the only way she'll soothe herself is with those, I know it's a little scary and I've gone up to her loads in the night and they've been on her face, but she's always been fine so I think she may be big enough now that it wouldn't suffocate her, plus they're only tiny little squares anyway! I started stroking her face with them when we were feeding and now she snuggles straight up to hers whenever she wakes up and heads straight back off to sleep. Funny you should say that actually Olive has jumped through her next leap today (which is half way through leap 5) into her 'sunny' period- Oh pleeeease let this be truuuue!?! haha. Oh that's fantastic news- well done little Ada! I know what you mean about the wails when you turn your back but are still in the same room!!! Oh gahhd! Thank you! Sometimes that is all you need to hear "It will get better/easier". Oh thank you so much Natalie. This is definitely what I needed to hear!! 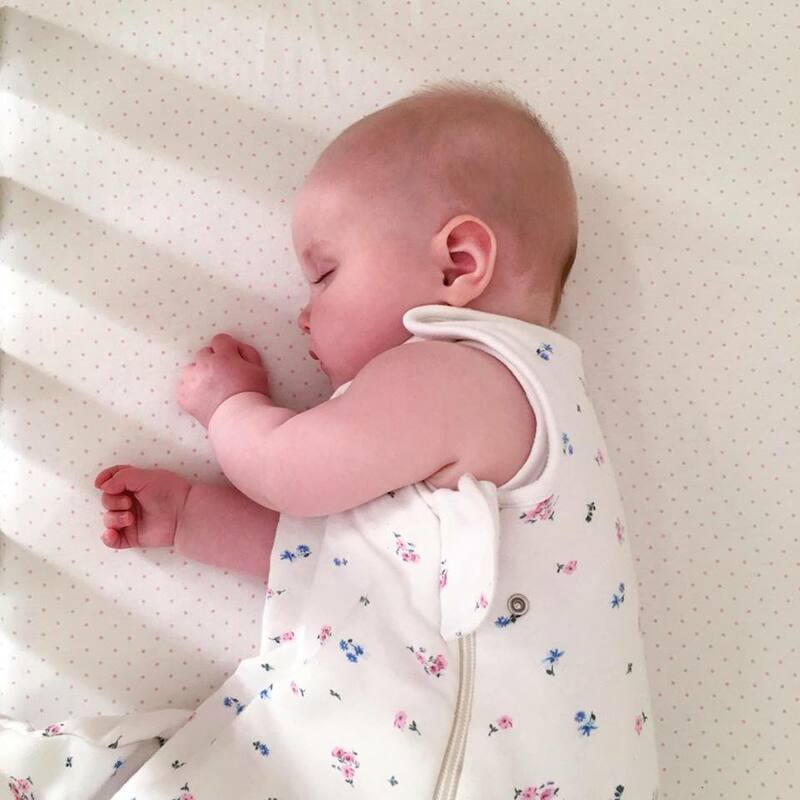 I highly recommend Dream Baby Guide - it's an Australian book about helping your baby to learn to sleep (I'm VERY anti control crying so it doesn't use that at all) - it's gentle and effective. We used it with great success with our first daughter. Having said that, there will be nights that are just crap, regardless of what you do. Extra tea and cake the day after. It does get better. Thank you very much, I will look into it! Extra tea and cake for the day after is always a good idea! I swear I will turn into a slice of cake! Haha. Have you tried giving her a dummy? My daughter had one when she was a baby. I only gave it to her at night but it seemed to help her settle. I had no problems in her giving it up when she was a little older. Sleep deprivation is really hard and can exacerbate feelings of being down and stressed. I'm sure you're doing well. I find people often are not there that I have been there for too. It can be quite isolating when people are selfish. It does get easier but I feel that's not much help right now!